This is such a vibrant and refreshing way to start the day with a mighty protein boost. 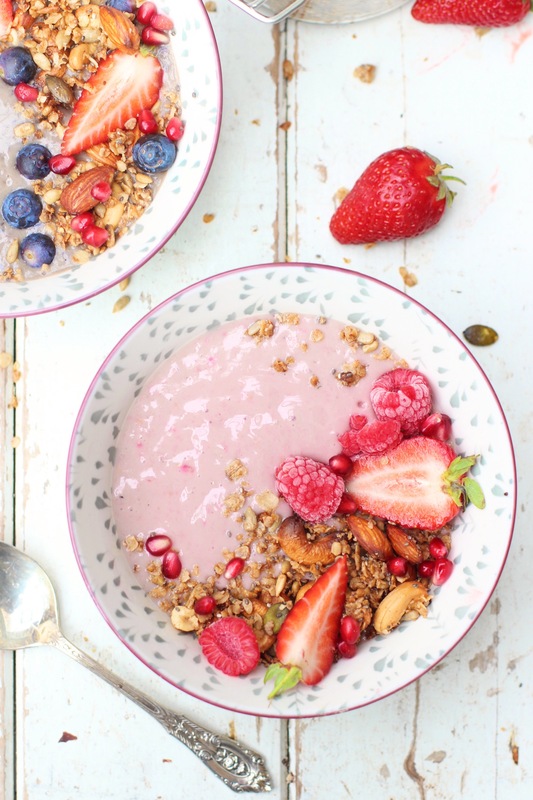 I like to have a protein rich breakfast and I don’t always want something hot so I love smoothie bowls like this. 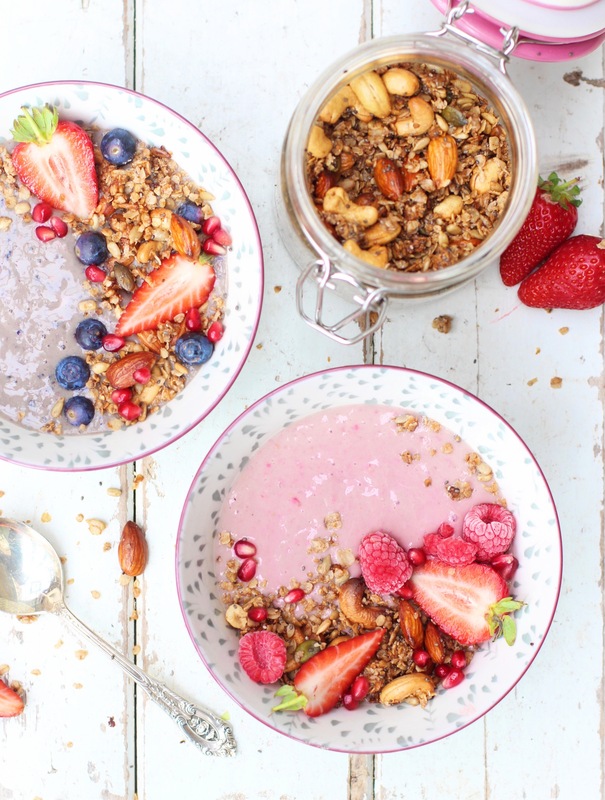 They’re more satisfying than a regular smoothie and you can switch up the toppings, it’s such a gorgeous summery alternative to porridge. I can’t resist berries when they’re in season and I love how you can freeze any extras before they go bad and use them in smoothies. You can use fresh or frozen for this recipe and it works great with just one kind or a combination. Add the almond milk to your blender first, then add in the banana, berries and protein powder. Blend on high until smooth. Divide the mixture between your two bowls and top with whatever toppings you like. I love sprinkling on some homemade granola and nut butter. Could you substitute the protein powder with a hemp seed protein powder?